I’ve mentioned this new book a few times, but today I have pictures to accompany all that talk! 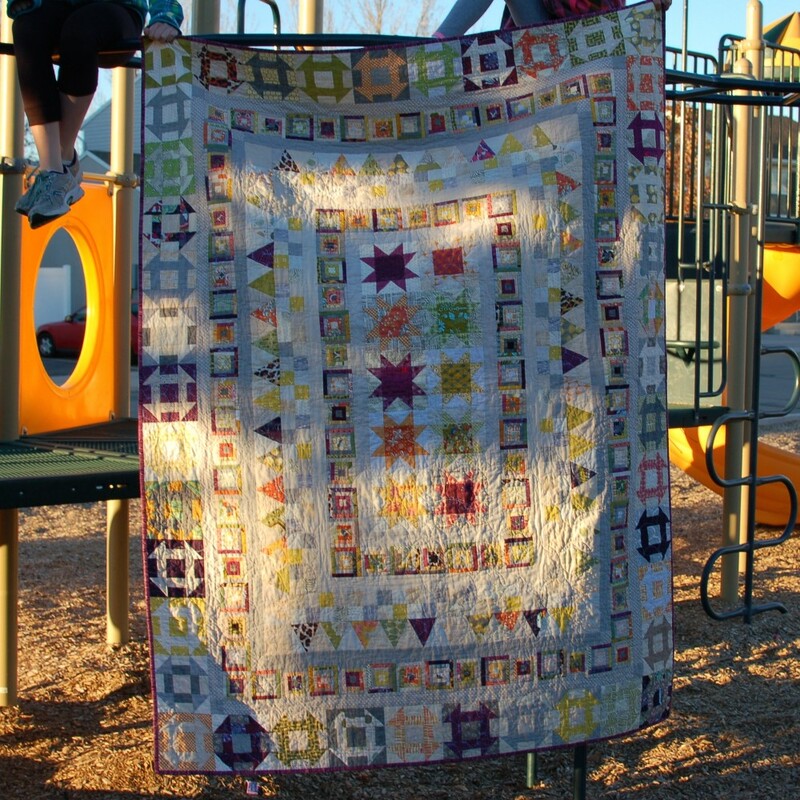 Scraps, Inc. is full of amazing scrap quilts, that you want to make! There’s also tons of inspiring photography, and great diagrams to make sure you know exactly what to do next. 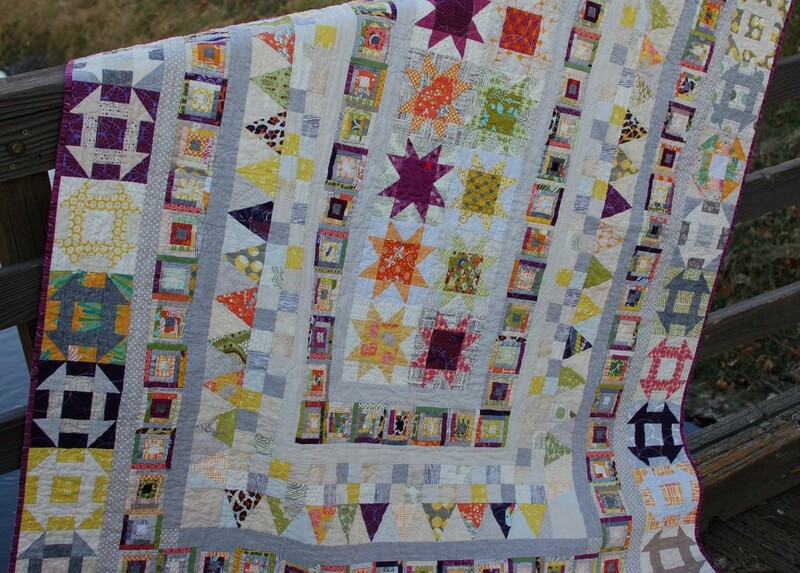 Star blocks make up the center, then I have four-patches, triangles, lots of log cabins, and churn dash blocks to finally frame the quilt top. 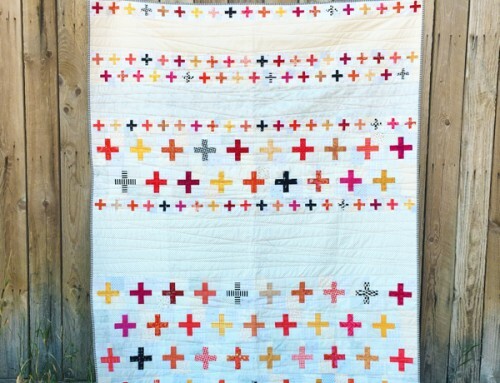 I happily used bits of fat quarters, and random charm packs that I have collected, along with all my scraps, it was so fun to give them all a home in this quilt top. 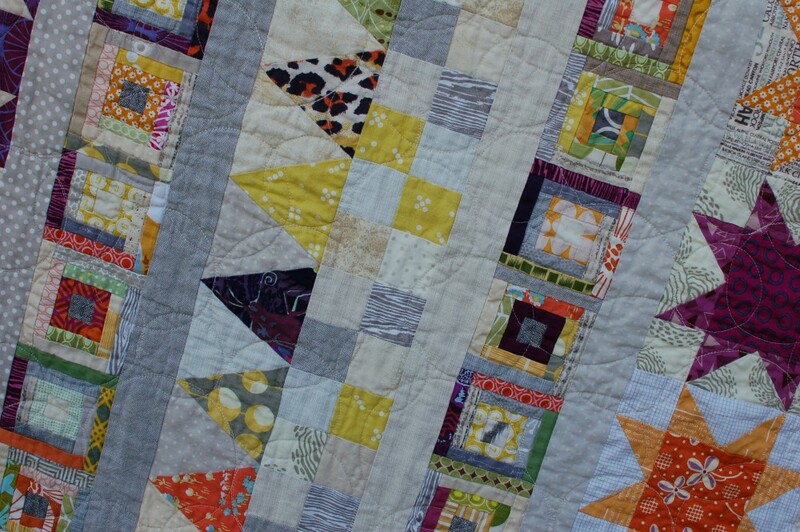 I wanted the blocks to be small enough to use the most special (read: tiny) of scraps. 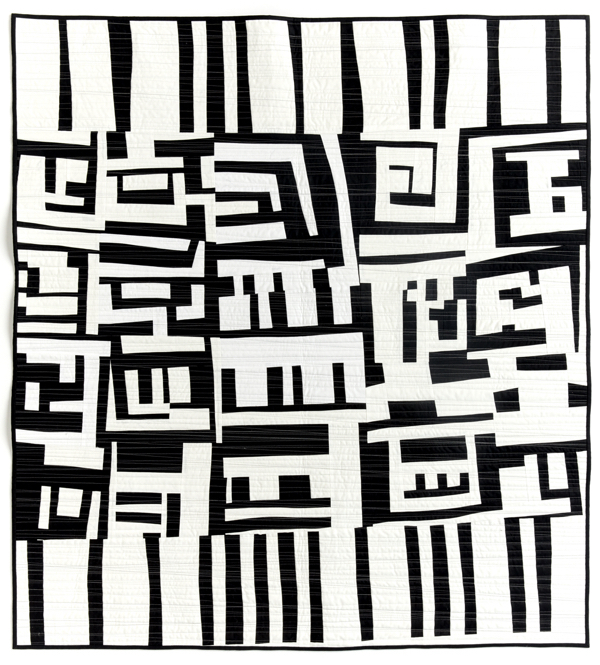 I quilted it with interlocking circles of various sizes. It needed to stay comfy and soft for snuggle time! 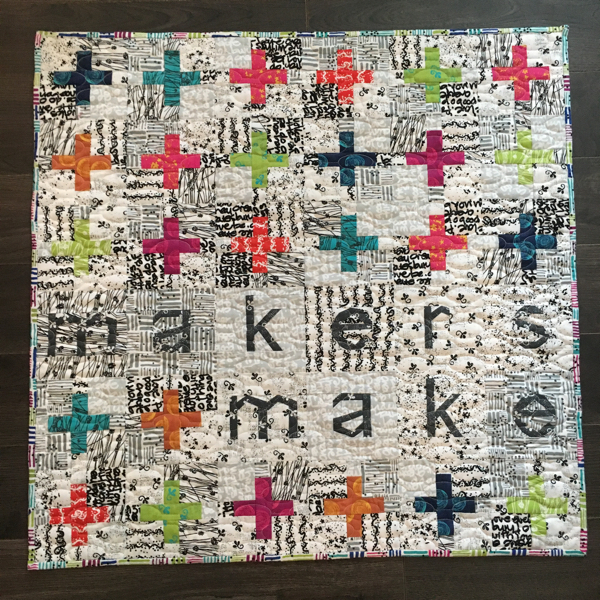 It measures 60″x78″ – perfect for snuggling under on the couch during our long winters! The publisher is offering a discount code for 30% off the original price for the duration of the blog tour. 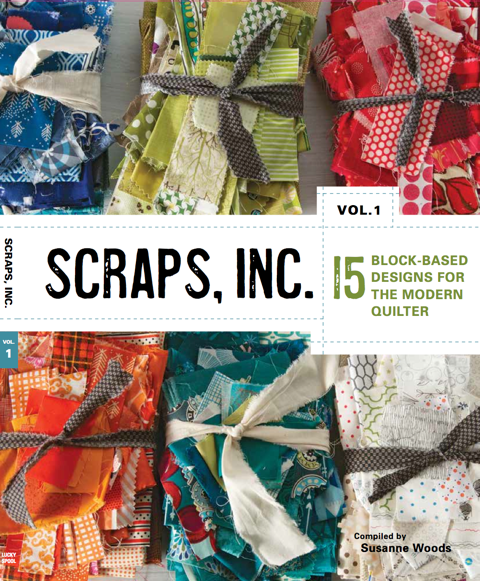 Follow this link, and use coupon code SCRAPS30 to get your beautiful copy of Scraps, Inc! Check out Alex, and Allison’s posts for more about their projects. And be on the look out for more posts by the rest of the contributors later this week! 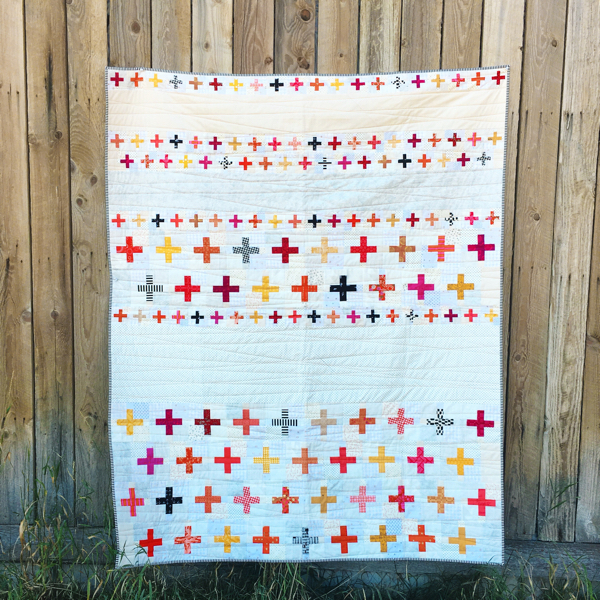 Working with Lucky Spool has been a blast and I look forward to stitching up a number of the quilts included in Scraps, Inc.! 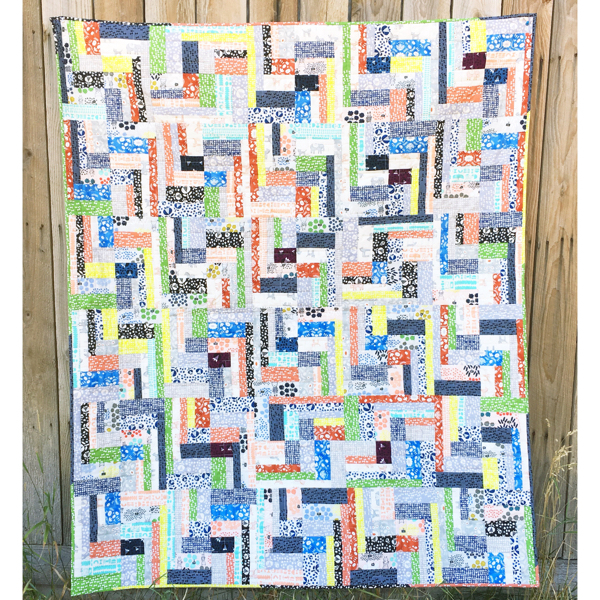 it is beautiful – I love to use up scraps too you can do so much with them! Thanks Carrie! 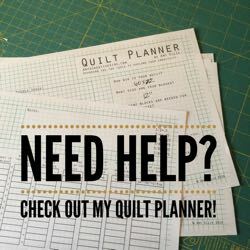 It did take time, but the results are worth it – I made it in a couple weeks, but when I make it again, it’ll be a few blocks here a few blocks there as I have scraps and time available. This looks like a fun one to work on! 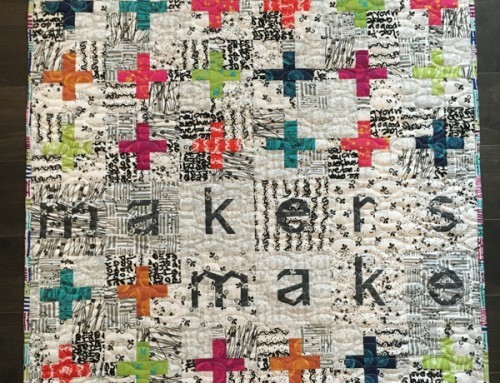 Is there anywhere to see all the quilts in this book? 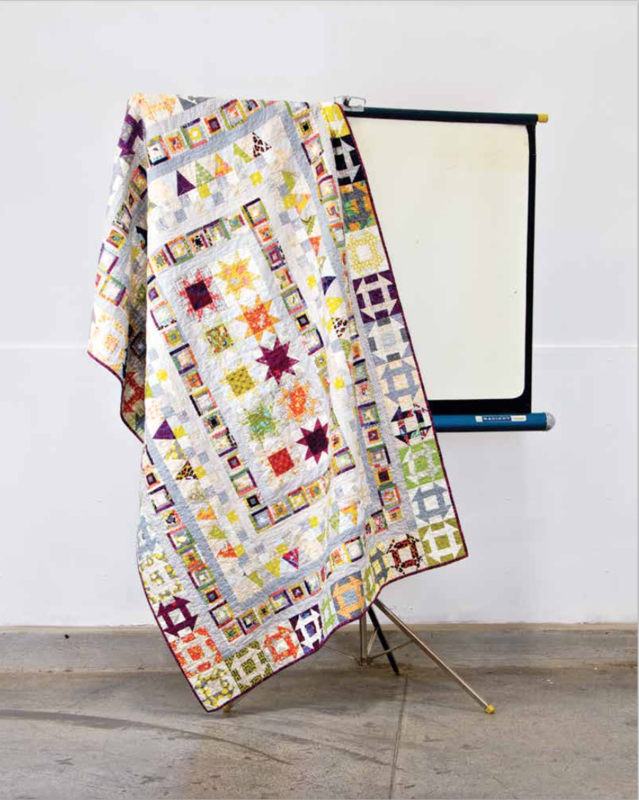 I try not to buy a book unless I like at least 3 of the quilts in it. 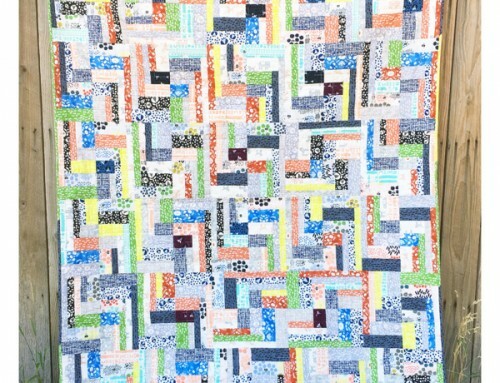 I’m hard to please, but I love your scrappy quilt! 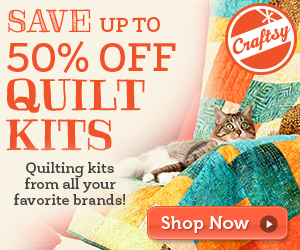 Amy, this quilt is great. The color scheme is original and I love it! 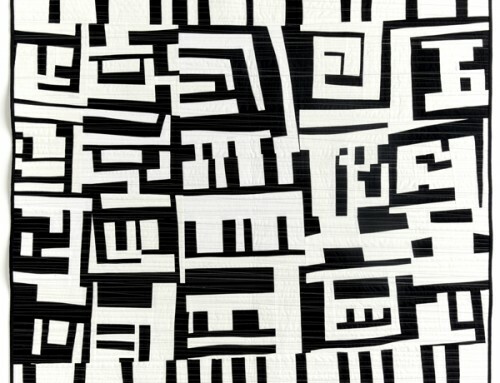 I sort my scraps by size and wether they are plain or patterned.